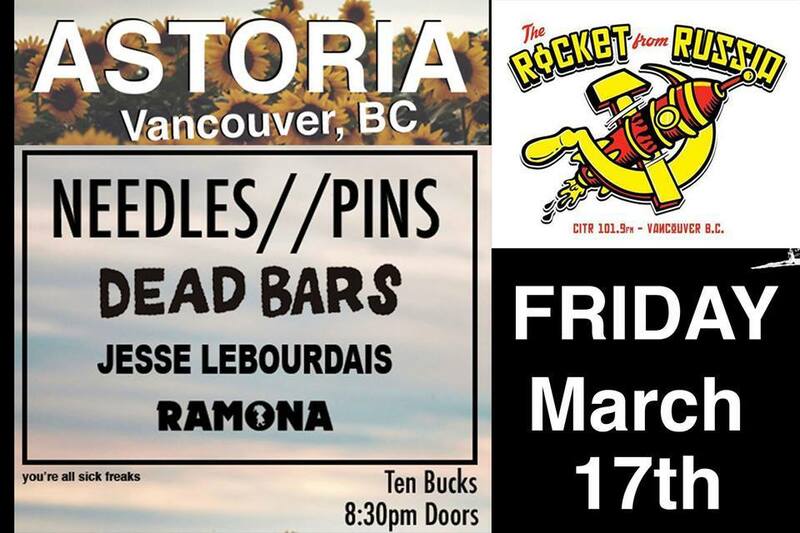 4 wonderful bands will be performing at Astoria Hastings on Friday, March 17th. Great success! One of the best bands in the history of this town is currenlty working on their third studio album which is set to be relased later this year. They will play some hits, but new songs are great as well. They have this magical new song called "Miracle" and it's gonna be one of the best songs of the year. This is not the first time I tried to bring over Dead Bars to play a show in Vancouver. They are so great and so close so I've been trying to bring them over to Vancouver for the past couple of years, third time is the charm and I'm very excited that they will be playing at the Astoria. Great band! I've seen them at THE FEST 3 times and they were so great! Jesse is also working on a new release and its almost done (this is gonna be a great year for local releases in Vancouver). According to Jesse this is his punk-iest solo record to date and I'm can't wait to hear it. His new songs sound great and I'm sure Jesse will play a couple at this show. 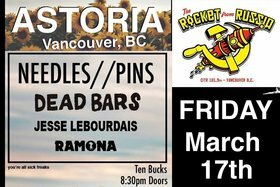 I won't lie, I didn't know much about Ramona before John of Dead Bars told me that they are bringing them along to Vancouver. But once I heard their EP I realized that they are a pretty fantastic band. Listen to their EP, its really great!